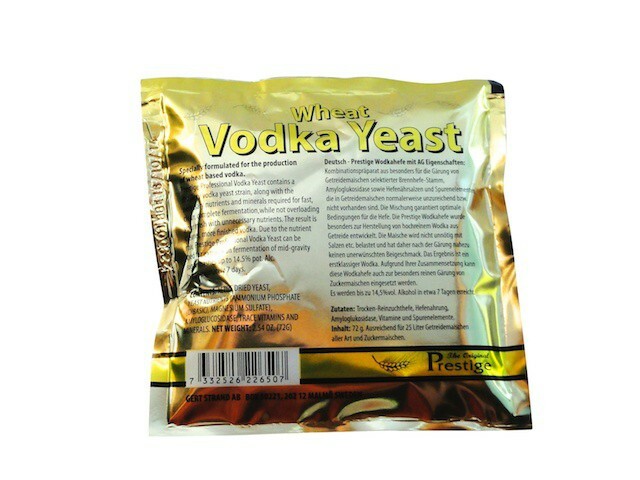 Turbo yeast with enzyme amyloglucosidase, cultured yeast, nutrient salts and minerals for a safe and fast fermentation of your favorite ingredients. 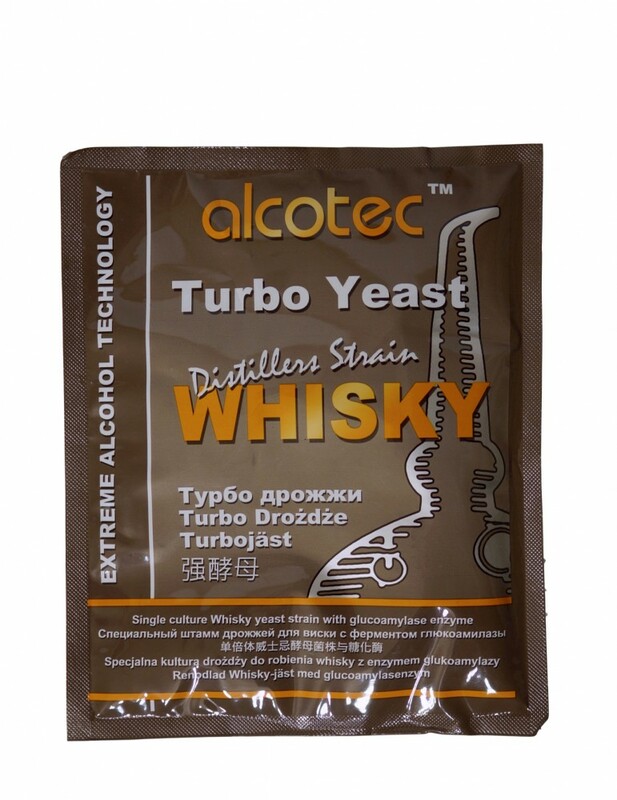 This optimized mixture of different yeast cultures is specially suitable for the fermentation of grain mash (barley, rye, wheat, corn). 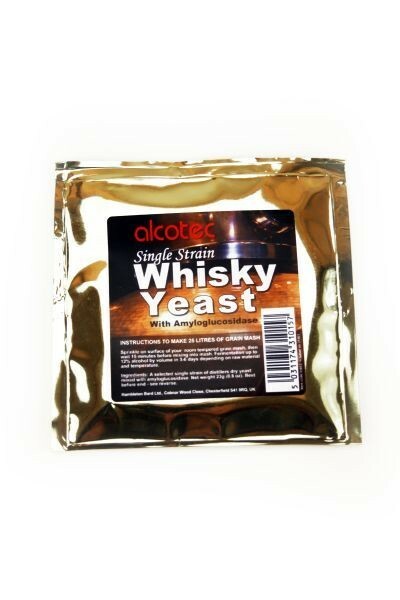 It contains selected pure yeast, amyloglucosidase and specific yeast nutrient salts as well as micronutrients which prove this selection to be ideal for Whisky production. 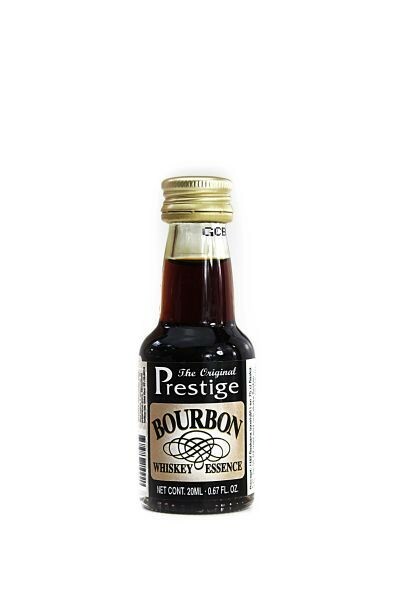 By producing almost tasteless alcohol, we recommend using our high-quality aromas and essences to add to your finished distillate in order to give it a very unique taste. Or simply offer your flavored alcohol to your family and friends. You would be surprised how much they will enjoy it! 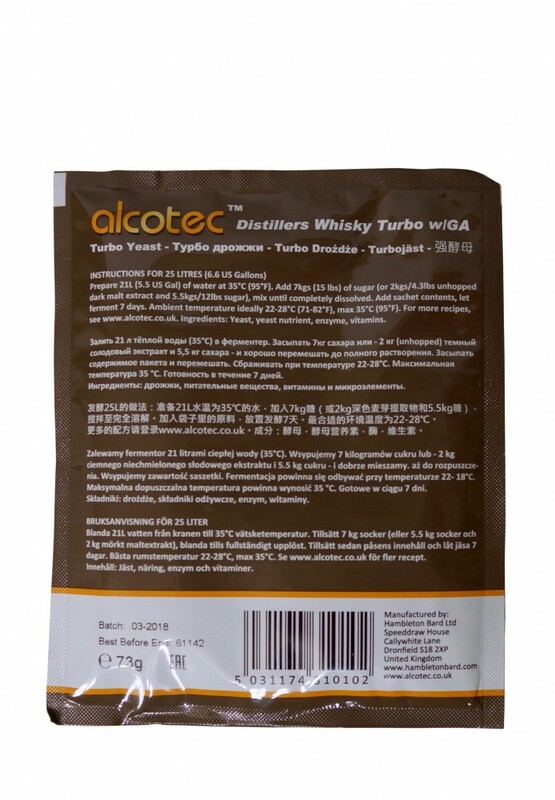 Please note that turbo yeast may not be used for alcohol production in licensed distilleries! 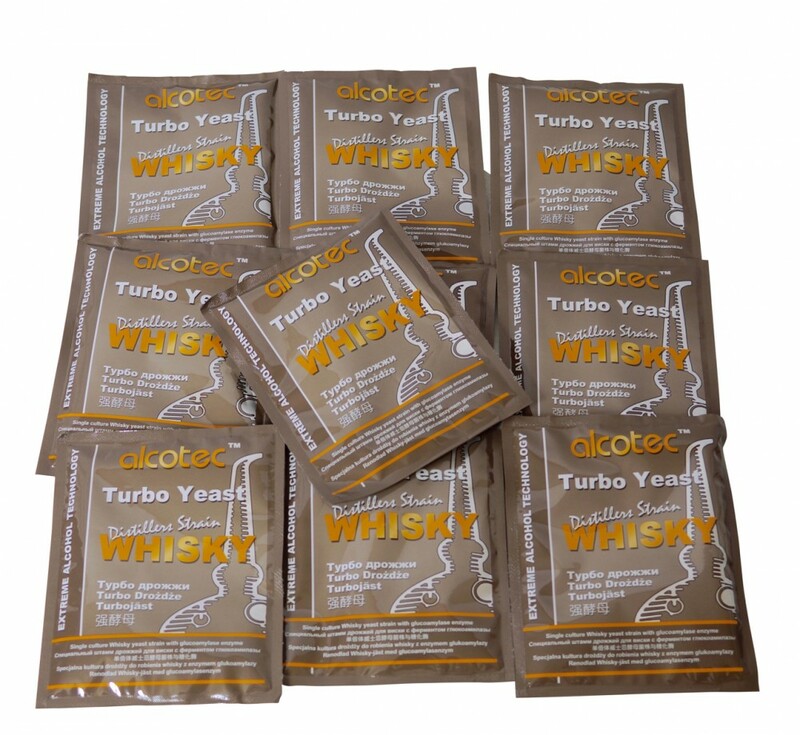 Turbo yeast would increase the alcohol content and the customs tax calculations would therefore not be accurate which can lead to serious misunderstandings and penalties. can be used for sugary mash and ferments up to 14,5 % Vol. within seven days.